See where the Franciscans are located in the US. The legend for the colors is below the map. Churches, shines, missions, and chapels. Retreat houses and houses of prayer. Direct service to the poor, etc. Colleges, universities, high schools, and institutes. Note to friars: This map shows public ministry sites (churches, shrines, chapels, missions, retreat houses, ministry sites, educational institutions, etc.). 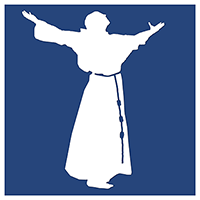 A more complete map is available for Franciscan friars showing all OFM locations (including provincial offices, formation houses, etc. ).